DAY 1: Arrive at Maun Airport from Johannesburg. You will be met at the Airport by a safari guide holding a sign board that reads “MARVELOUS MOBILE SAFARI”. The guide will take you to your hotel or lodge where you will stay for 1 night on a bed and breakfast basis. Lunch and dinner will be served at your own expense. 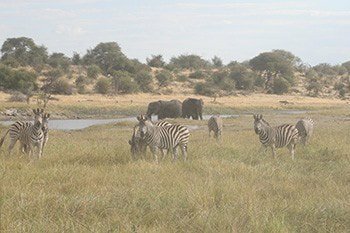 DAY 2: The morning begins with breakfast, and then you will be picked up from the hotel or lodge by a safari guide and then depart Maun for Lekhubu Island. A packed lunch will be served at Rakops Village for your stop over where you will have the opportunity to stretch your legs for a while. Arrive at Lekhubu where your campsite will be ready. You will have a siesta and a short game drive later in the afternoon to witness the landscape and wildlife of Lekhubu Island. Come back to the camp to shower with dinner following shortly. Bedtime will be determined by the last guest. DAY 3: The morning begins with a fresh shower from a shower bucket with warm water, have breakfast then depart to Rakops village in the northern direction from the Central Kalahari Game Reserve. Rakops is a very interesting village with few tribes. Tribes such as Bateti, Basarwa, Bakalaka, Bayei and Basubia who normally perform traditional dance styles to entertain clients. It is believed that the Bateti tribe were the first to reside in Rakops along the Boteti River. The river was named after the Bateti tribe. It stretches all the way from Maun to Lake Dow. Upon arrival in Rakops you will drive to your designated Matsaudi camp sites where you will have lunch and a siesta. In the afternoon you will have high tea and resume the cultural tour in the village. After the cultural tour you will drive back to your camp site, have your shower and dinner will be served. Around 7:00 pm just immediately after your dinner there will be a great performance from two tribes of the village namely Basarwa and Bateti, where you will witness stylish dancing until late. DAY 4: The morning begins with a fresh shower from a shower bucket with warm water, have breakfast then depart to Makgadikgadi Pans National Park. You will enter the gate and then do your game safari all the way until you reach the campsite. Upon arrival at your camping area you will be shown your tents and then have lunch and afterwards go for a siesta. Before your afternoon activity you will have high tea and then begin your game safari within the park to explore the amazing wildlife. Come back to camp, have a shower and dinner follows. 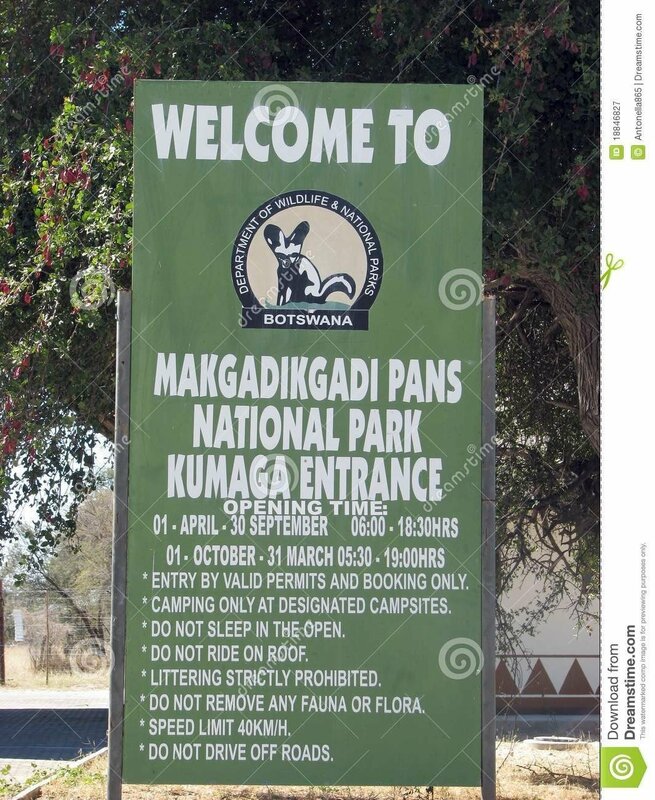 DAY 5: Have a quick shower and breakfast and do a short game drive within Makgadikgadi Park until you go out of the park through the northern gate. You will join the main road from Maun to Nata. 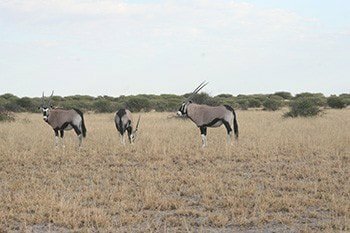 About 30 minutes driving north you will enter Nxai Pan National Park gate where you will enjoy a game drive until you arrive at the campsite. Upon arrival you will have lunch and then go for a siesta. In the afternoon you will have high tea and resume your game drive safari within Nxai Pan to witness the amazing landscape and wildlife. 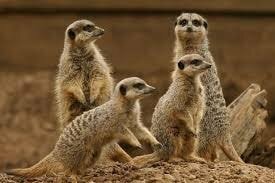 We’ll expect to see elephants, giraffes, impalas, wildebeest, zebras, and some of the big predators. The game drive will include a trip to Baines Baobabs. Baines Baobabs were named after the famous 20th century painter and explorer who painted this unusual group of baobabs during his journey through southern Africa in 1862. The baobabs stand on the edge of a large salt pan that, although dry for most of the year, transforms into a massive sheet of water dotted with water lilies during the rainy season from December to March. During those wet months, water birds abound at the lagoon and create a spectacle of great beauty. We will drive back to camp in the evening, just in time to relax and take a shower before a superb dinner cooked over an open fire. DAY 6: Have a quick shower and have breakfast, then depart to Maun. While you leave the park you will do a long drive until you go out of the park gate. Upon arrival in Maun you will be transferred to the airport to continue with other travel arrangements. Shake hands at the airport and goodbye. Visitors/Tourists are advised to bring warm clothes and rain coats for rainy season, should put on comfortable walking shoes. Arrive at Maun Airport from Johannesburg. You will be met at the Airport by a safari guide holding a sign board that reads “MARVELOUS MOBILE SAFARI”. The guide will take you to your hotel or lodge where you will stay for 1 night on a bed and breakfast basis. Lunch and dinner will be served at your own expense.